1) Mix all the ingredients except for the chicken together in a medium sized bowl. Slice the chicken into bite sized pieces and place it in the bowl to marinate while you prepare the veggies. 3) Place the chicken, marinade and all, in a pan and cook over medium high heat until chicken mostly cooked. 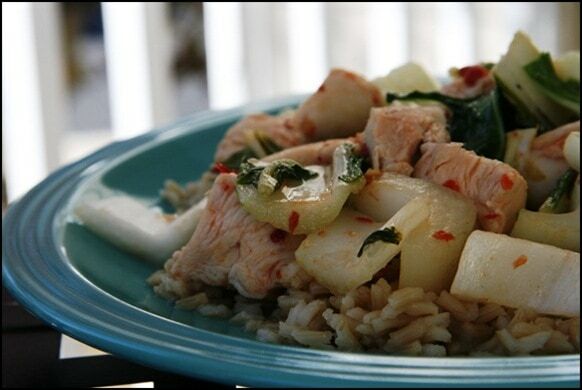 4) Add in your veggies and sautÃ© until they are cooked to your liking and chicken is fully cooked. 5) Plate and enjoy! 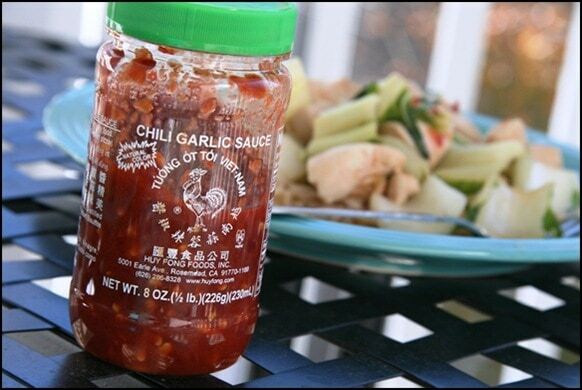 Top with extra chili garlic sauce or some soy sauce, if desired.